The Clifton Youth Strengths Explorer Assessment tool was designed for individuals aged 10-14 years old, as a precursor to the Clifton StrengthsFinder tool. This page outlines the 10 possible Talent Themes in the Strengths Explorer framework, and contains links to resources that parents can use to develop their children. Find the resources you need to learn more about your own or your child's Strengths Explorer themes. Click on your (or your child's) Top 3 talent themes to begin the journey! If you're a parent, also check out this PDF for a quick activity you can do to get to know your child better. 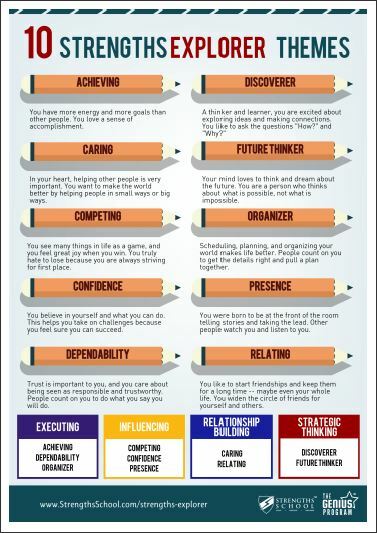 Parents: This is a great way for you to affirm your child on his/her strengths. Download the PDF and use your answers to start a discussion with your child about their strengths! To help reinforce the students' understanding of the StrengthsExplorer themes, we've created a printable poster that teachers can put up in their classrooms. Simply click on the button below to download the poster! 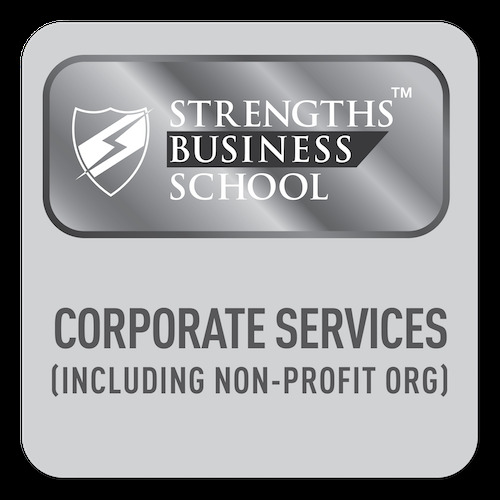 We run Strengths-based programs for organizations, schools, families, and couples.